Home Columns Is Africa Condemned To Dirty Diesel? The level of the sulfur content of fuel sold in Africa is 378 times higher than that sold in Europe. This is one of the reports of the report “Dirty Diesel” published by Public Eye after three years of surveys in the petroleum sector. According to the report, this quality of fuel which is very harmful to the environment would inevitably have consequences for the health of the living people where it is used. Despite the dangers it represents, this fuel continues to be imported into Africa for consumption. Whose fault is it? Naturally, the oil companies are the first to be finger-pointed without hesitation. It is clear that the aggressiveness and opportunism of some of them push them to act to the detriment of any ethics, leading them to ignore the impact of their actions on human lives. As African quality controls and standards are weak in this field, they are delighted to perform a dangerous exercise: skimping on quality, producing more and at lower cost, in order to make the maximum profit possible. The search for profit is not in itself reprehensible, but it is the lack of respect for the rights of consumers, especially when their health is at stake. 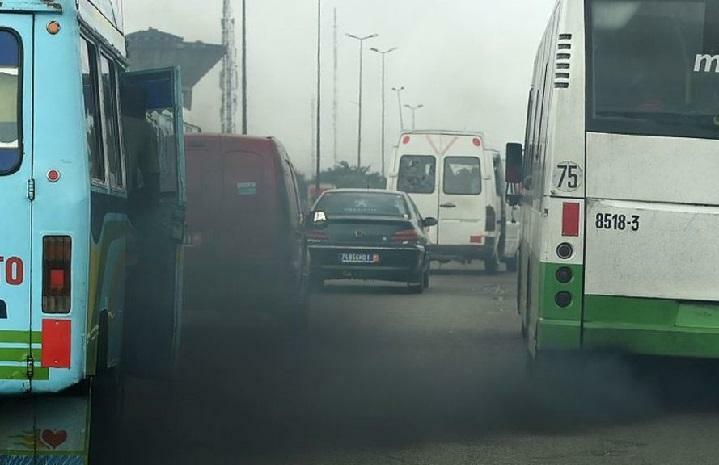 By producing and selling this toxic diesel, these firms put the African consumer at high risk of developing, in addition to cancer of the respiratory tract, serious diseases, and conditions such as asthma, bronchitis, decreased fertility, Increased intra-uterine mortality, etc. Moreover, according to some forecasts, by 2030, there will be up to three times more premature deaths due to air pollution (due to fuel) in Africa than in Europe. We are therefore justified to be surprised by the double standards which these firms practice in Europe and in Africa. Trafigura, Vitol and Addax & Oryx (which is the subject of the present invention) produce these substances, which are stamped “African quality”, by design, by combining chemicals (benzene, sulfur) They know they are harmful to health, since they are banned in Europe where the regulatory bodies fully play their roles. Hence the illegitimacy of the business of these firms, who pride themselves on “not violating the law” of the countries in which they market their products. But let us remind these firms that everything that is legal is not legitimate. The problem in Africa is that the law is often out of step with what is legitimate, moral and ethical according to societal standards. That said, and while recognizing the responsibility of the oil companies, we should ask ourselves: with the blessing of whom? Why can these same firms not be able to afford to trade in their own countries or in other developed countries? Simply because in these countries there is a genuine rule of law, and a regulation that protects the health of users. In reality, a revision of acceptable fuel quality standards in our territories would encourage these manufacturers and traders in the sector to review their copies. Consequently, if this situation that threatens the lives of African populations persists, it is because there is also a lack of political will on the part of our leaders, negligence and perhaps Certain complicity. And for good reason, it was our rulers themselves who, through the media, stole the aid of these merchants by saying that they were “not concerned” by this affair with regard to Côte d’Ivoire; Contesting it for Congo; And deeming it “erroneous and exaggerated” in relation to the Executive Secretary of the African Petroleum Producers Association (APPA). To look at the places occupied by the States concerned in the index of the perception of corruption, makes us clearly deduce the reasons for such reactions. There is no justification for this, unless it is corruption and the deep roots of informal exchanges between these groups and our rulers. One of the many examples is the affairs at the top of the Angolan state revealed by Public Eye, speaking of the deal concluded between Trafigura and a close to the Angolan President to secure his gains in the distribution of fuel. Swiss traders will continue to put their own pockets to the detriment of the health of Africans because the fuel stamped “African quality”, has good days ahead. The least that can be said with the outbreak of this toxic fuels case is that these organizations are disconnected from social realities. Since they were directly involved in this case, they were not able to sound the alarm. Indeed, this scandal was revealed only by the will of a Swiss NGO. This inertia confers Westerners who maintain that we should not be moved or shocked by the fact, that there is a standard of quality that is less demanding for Africans. When the Africans themselves are satisfied with it. On the other hand, it should also be noted that most of the African media, in view of their extremely politicized characteristics, have given little or no regard to this case, on which it is nevertheless necessary to inform the people. As things stand, it is clear that oil companies must be obliged to review the African standards and standards for fuel quality and to respect the right to life and health of African populations. For while the freedom to trade is guaranteed, there is nevertheless a need to pose a primordial beacon as is done everywhere else: the rule of law. Next articleIs There Hunger In The Land?